The Botswana Institute for Development Policy Analysis (BIDPA) in collaboration with the International Livestock Research Institute (ILRI) and the Australian Centre for International Agricultural Research (ACIAR) will hold a conference on 4-6 March 2015 in Gaborone, Botswana with the theme Policies for competitive smallholder livestock production. 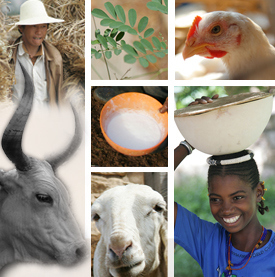 The conference aims to provide an opportunity for African and international scientists and the broader stakeholder groups in the livestock production sector to discuss competitiveness in livestock production systems and improving the livelihoods of livestock farmers, especially smallholders, with emphasis on southern Africa. The broader objectives of the conference are to gather researchers, policymakers and development partners working in the area of assessing competitiveness in agricultural food production and marketing, and to provide answers to various questions rotating around four thematic areas. It is hoped that at the end of the conference, there will be specific recommendations for the key questions and how to enhance the competitiveness of smallholder farmers so that they participate more in markets and hence improve their livelihoods. Tags: livestock production, markets, policy. Bookmark the permalink.